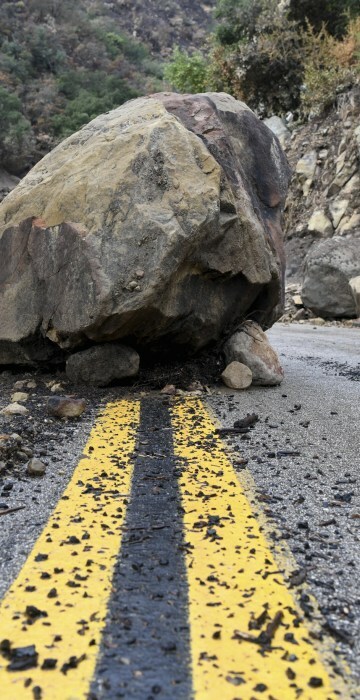 Mudslides swept through Southern California after a powerful storm. 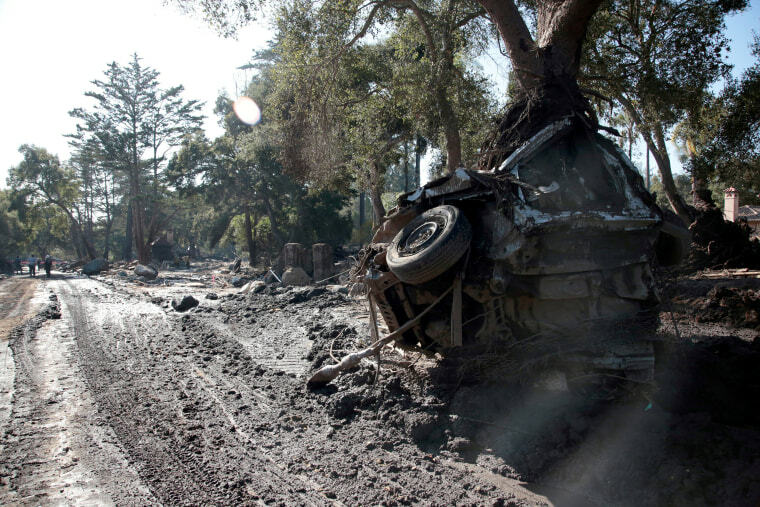 A car is smashed against a tree after a mudslide on Jan. 11 in Montecito, California. 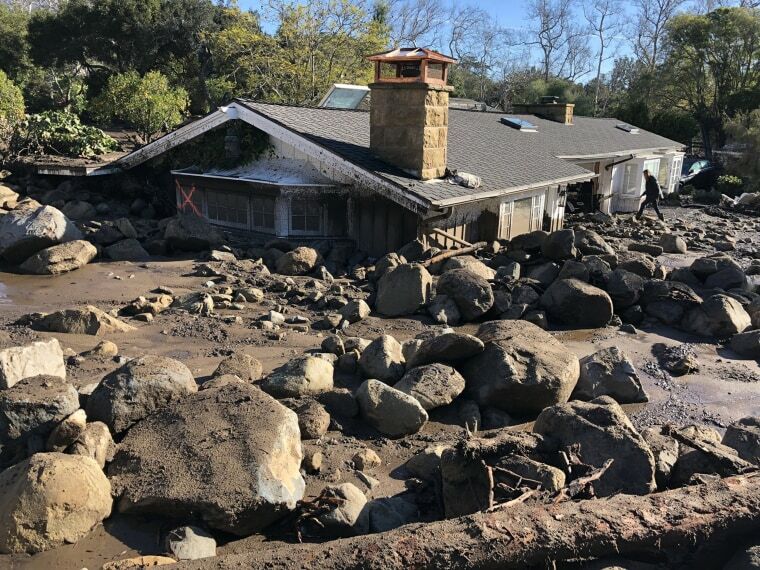 More than 100 homes were destroyed in the flash flooding following rains early on Jan 9 in Montecito and surrounding communities, according to the county. 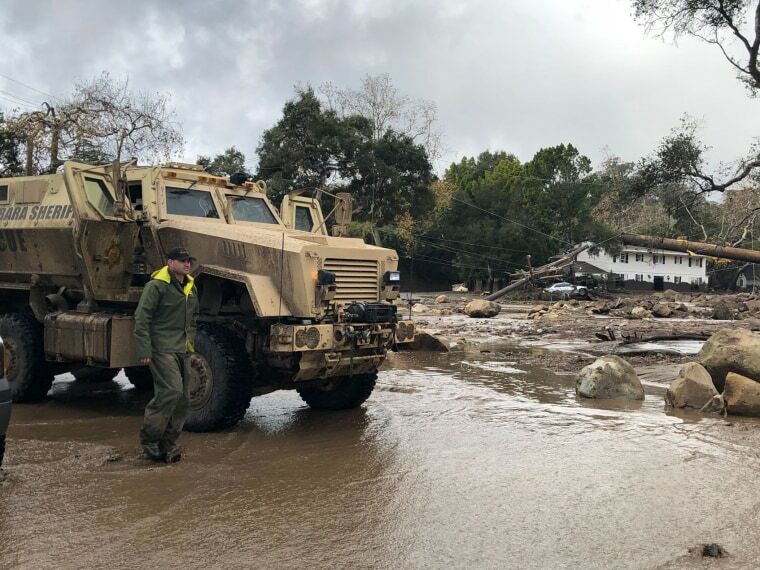 Search efforts continued in Montecito as the number of people reported missing rose to 43. The community is grappling with the deaths of at least 17 people. 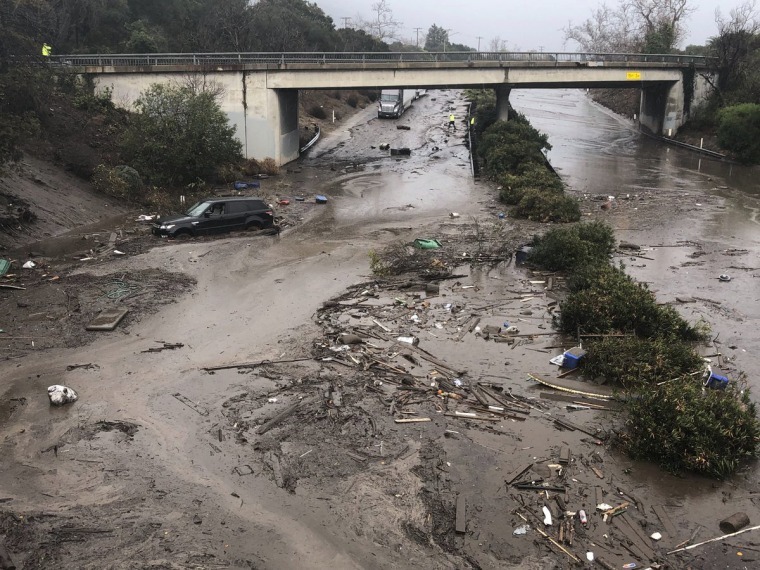 A car sits in floodwaters on Highway 101 in Montecito on Jan. 11. 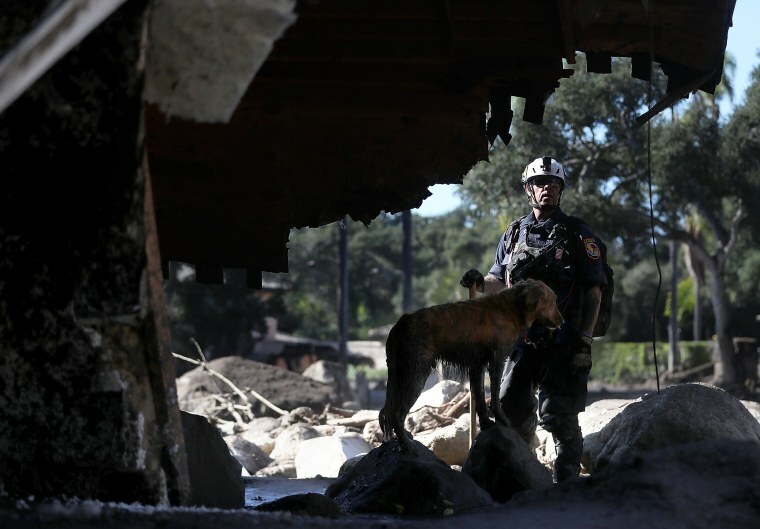 An urban search and rescue team member and his dog search a home on Jan. 11. An emergency worker looks down from an overpass toward a flooded area of Highway 101 on Jan. 11. 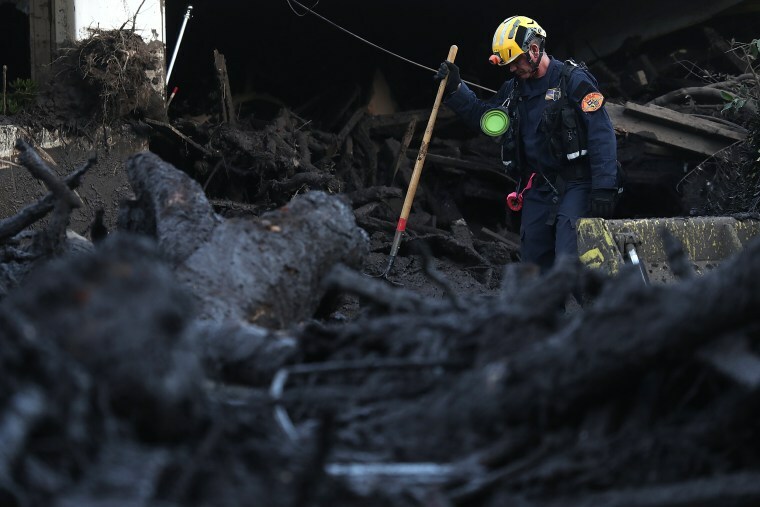 A Los Angeles County urban search and rescue worker searches a pile of debris on Jan. 11. 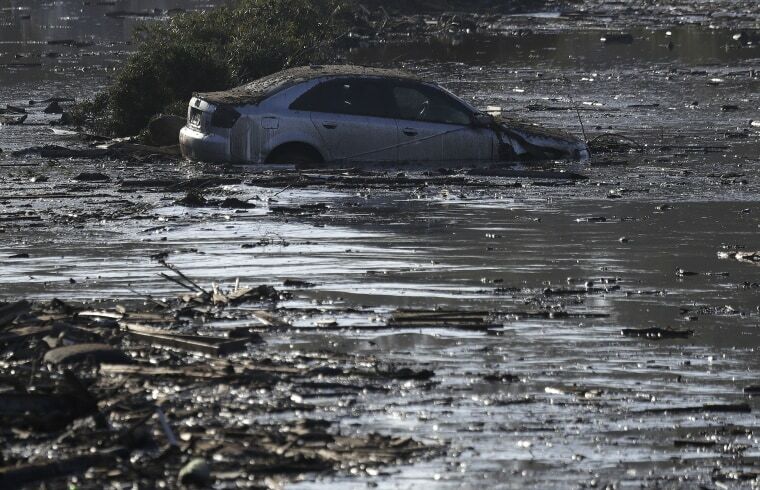 A car sits in floodwaters on Jan. 11 in Montecito. 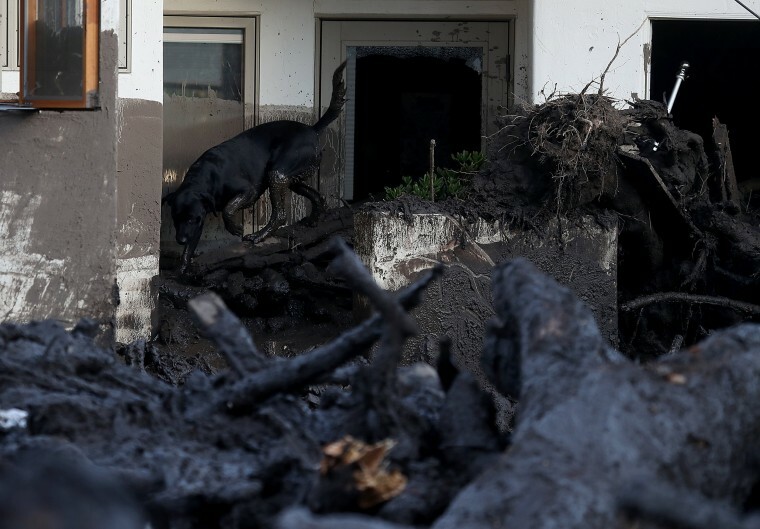 A rescue dog searches for victims at a home on Jan. 11. 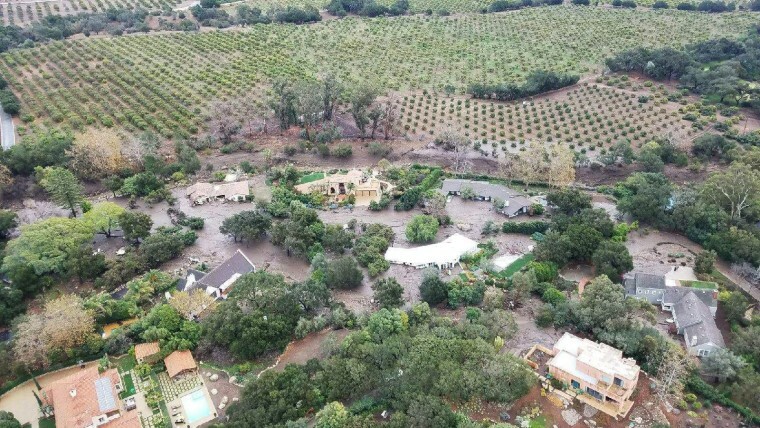 Mudflow surrounds damaged houses in this aerial photo taken from a Santa Barbara County Air Support Unit Fire Copter over Montecito on Jan. 10. Kerry Mann navigates the large boulders and mudflow that destroyed her friend's home in Montecitoon Jan. 10. Her friend was last seen in the early hours of Jan. 9. 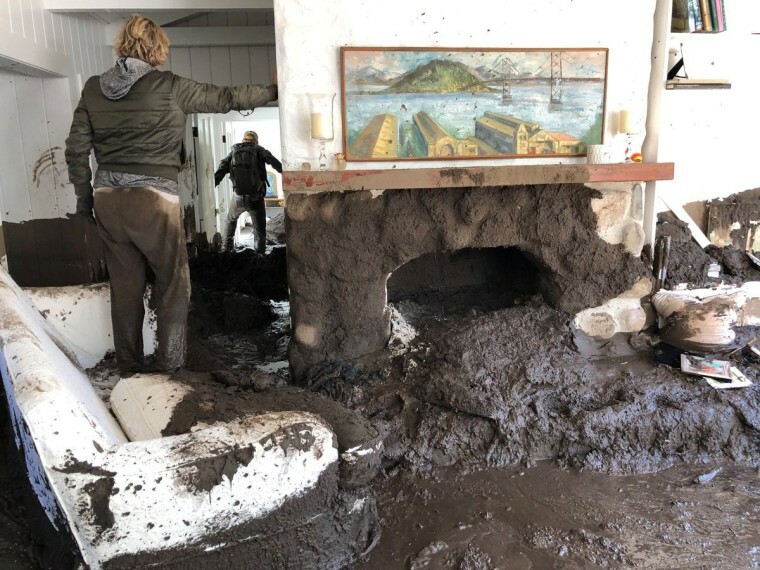 Family members inspect the inside of a home covered in mud in Montecito on Jan. 10. 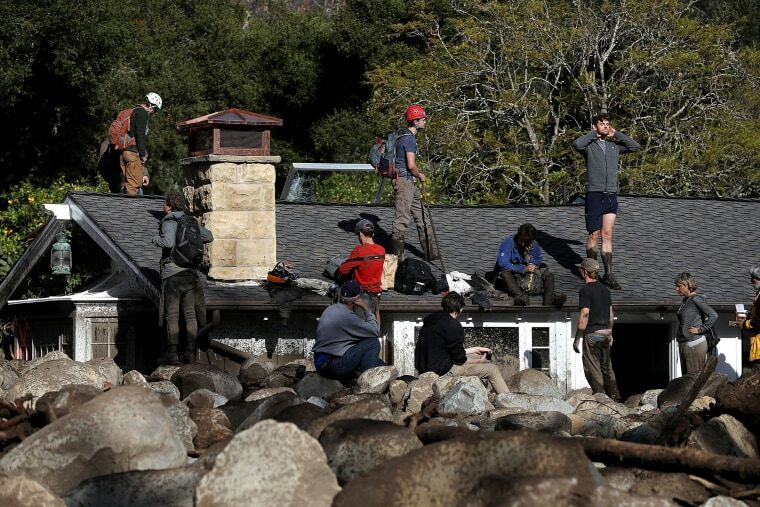 Residents stand on a home that was destroyed by a mudslide in Montecito on Jan. 10. 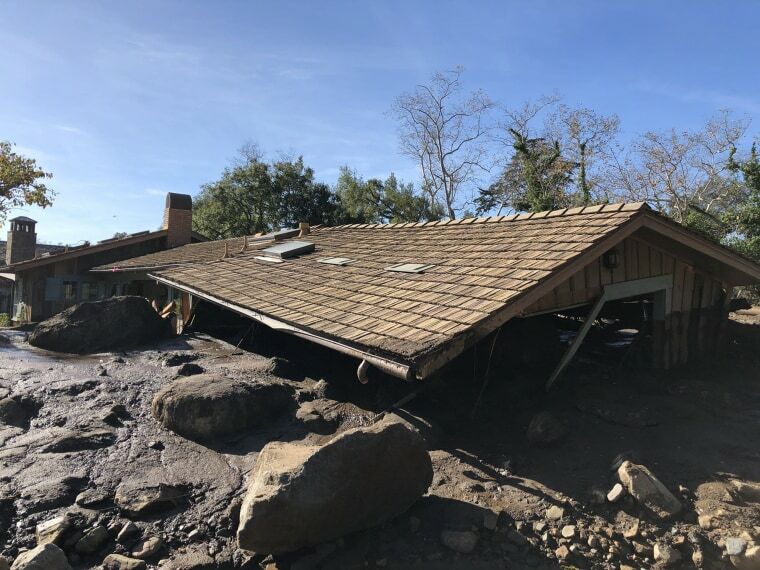 Mudflow, boulders, and debris reach the roof of a single story home in Montecito on Jan. 10. 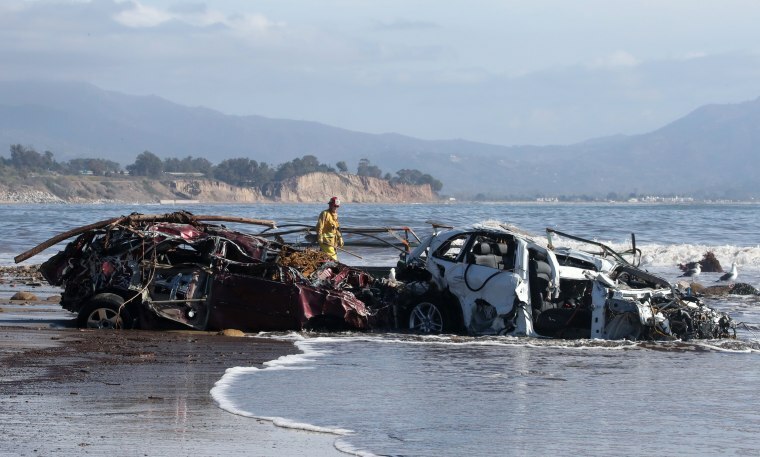 Fremont City Firefighter Jordan Castro checks vehicles that were washed into the Pacific Ocean as he conducts search and rescue efforts in Montecito on Jan. 10. 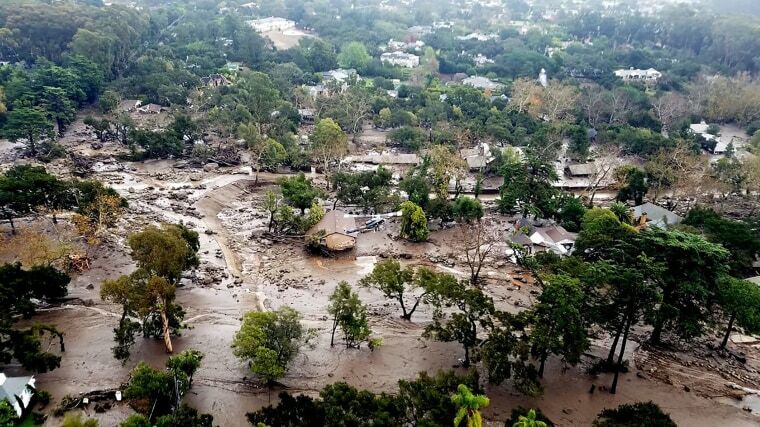 Homes and streets are surrounded by mud in a neighborhood of Santa Barbara on Jan. 9. 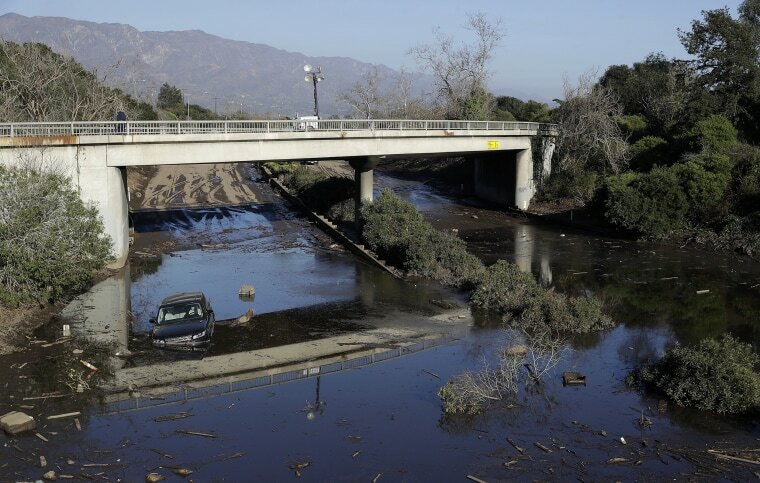 The U.S. 101 freeway at the Olive Mill Road overpass is flooded with runoff water from Montecito Creek on Jan. 9. 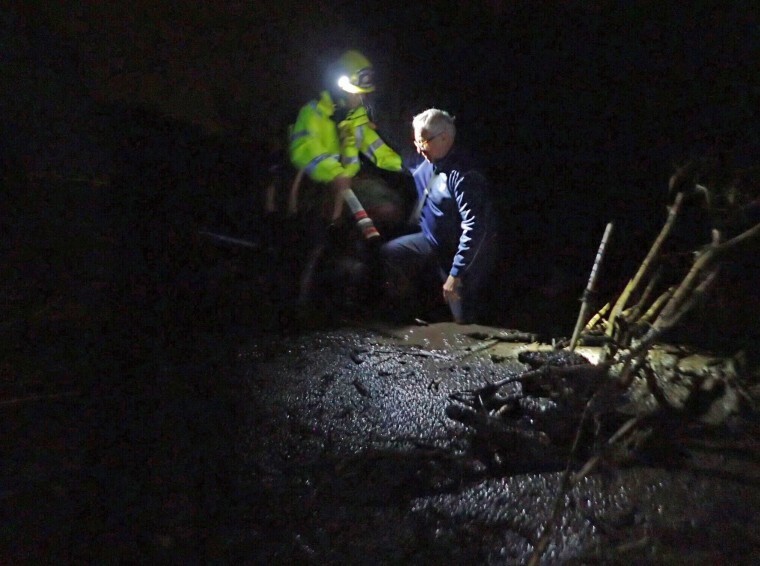 Emergency personnel prepare to rescue a woman trapped inside a collapsed house in Montecito on Jan. 9. 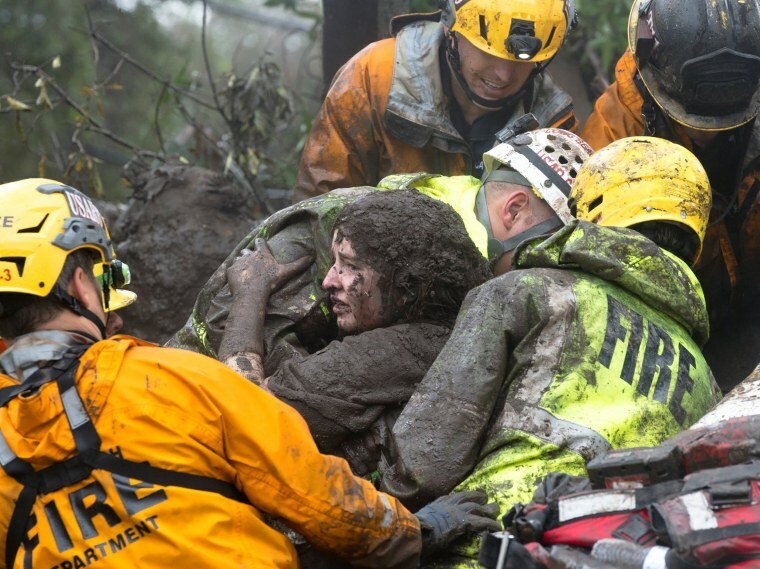 Firefighters rescue 14-year-old Lauren Cantin after she was trapped inside a destroyed home in Montecito on Jan. 9. She was discovered when firefighters using dogs in the search heard a scream. Using the jaws of life and other tools, rescuers sheared off debris from around Cantin. They worked for over six hours before freeing her Tuesday morning. Emergency personnel evacuate residents and their dogs through flooded waters in Montecito on Jan. 9. Officials said many residents apparently failed to heed an earlier voluntary evacuation order — requiring more than 100 rescues and last-minute evacuations. 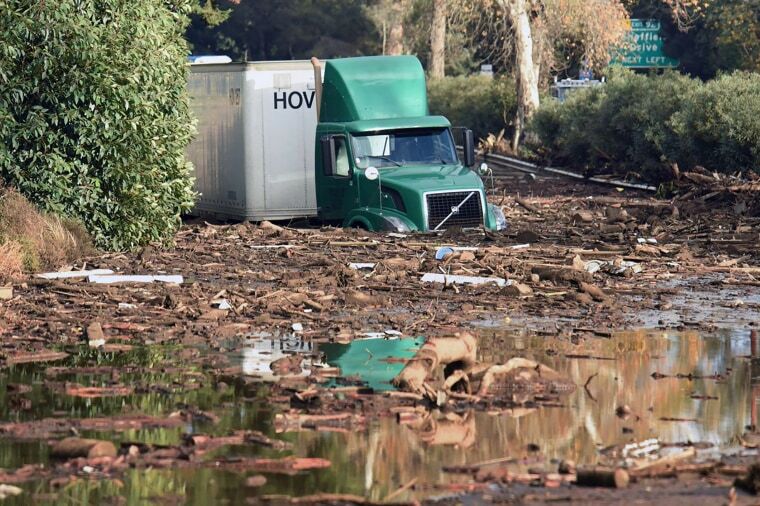 A semi-tractor trailer is stuck in mud on U.S. Highway 101 in Montecito on Jan. 9. 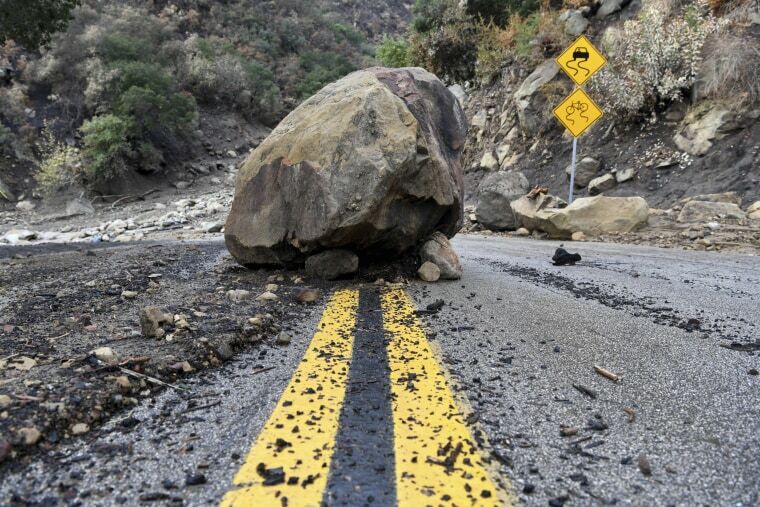 A large boulder sits in the middle of Bella Vista Drive in Montecito on Jan. 9. A member of the Long Beach Search and Rescue team looks for survivors in a car in Montecito on Jan. 9. 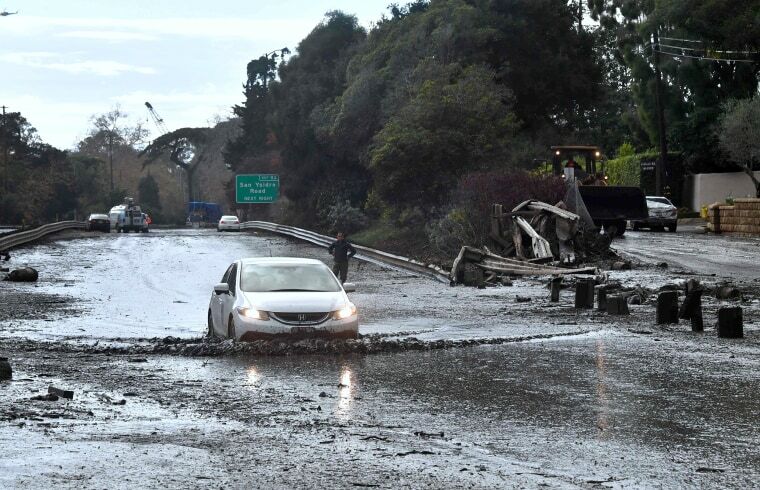 Vehicles carried by the mud flow sit at the exit of the parking garage to the Montecito Inn on Jan. 9. A Santa Barbara County Sheriff's Rescue Vehicle tries to maneuver past vehicles on Hot Springs Road in Montecito on Jan. 9. 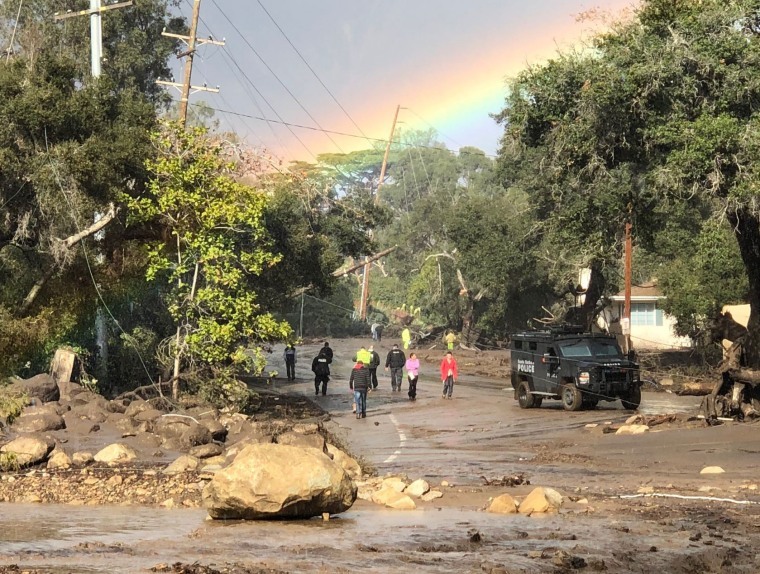 A rainbow forms above Montecito while law enforcement and the curious survey the destruction on Hot Springs Road, California on Jan. 9. 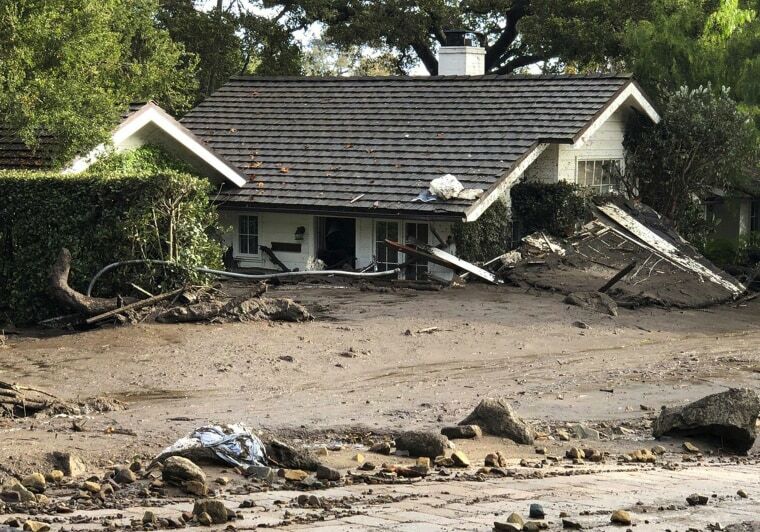 A home is buried in flood debris in Montecito on Jan. 9. 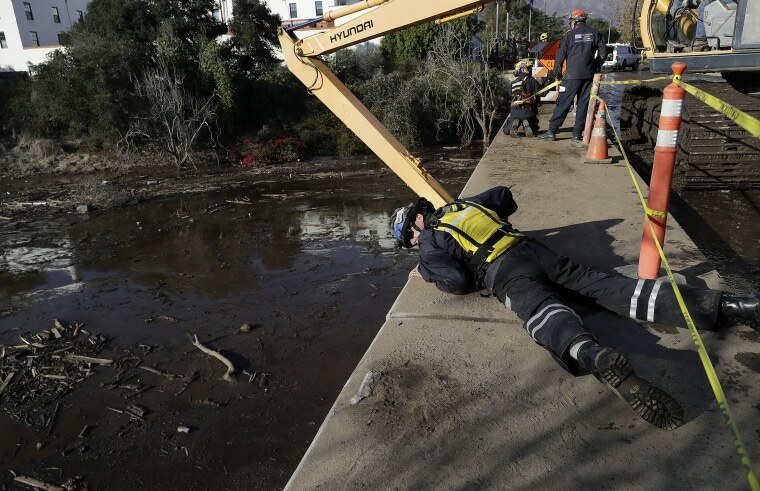 Santa Barbara County Firefighters rescue residents from flood waters and debris flow in Montecito early Jan. 9. 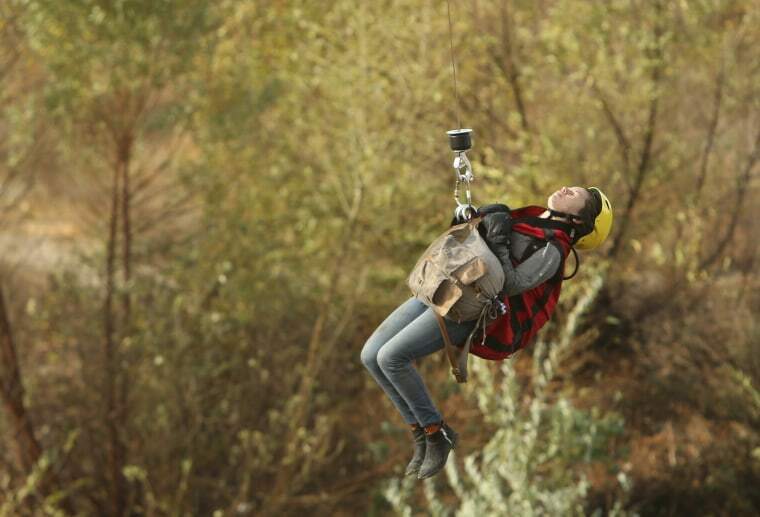 A women is airlifted by helicopter near the Santa Ana River on Tuesday after a storm trapped a group at a homeless encampment near San Bernardino, California. At least 50 had to be rescued by helicopters in Southern California after flooding from torrential rains. A vehicle drives across a flooded US 101 freeway near the San Ysidro exit. 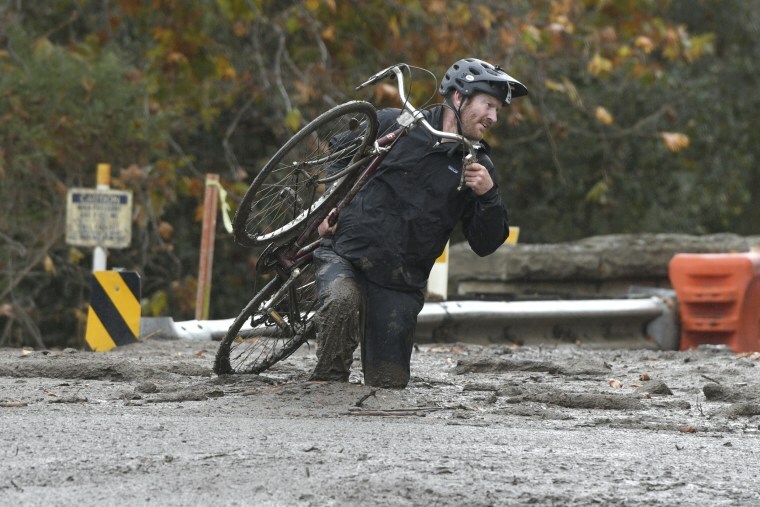 Jeff Gallup carries his bike through mud on Foothill Road in Carpinteria, California. 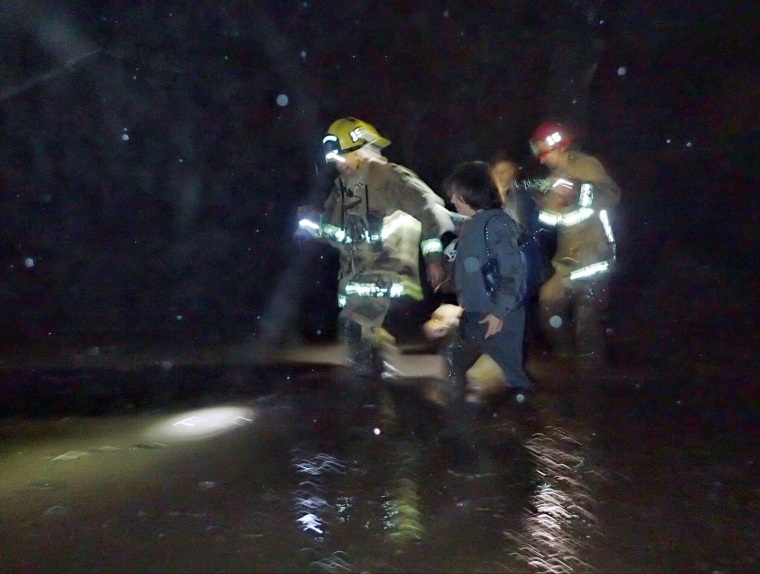 Firefighters rescue a Montecito resident on Jan. 9.